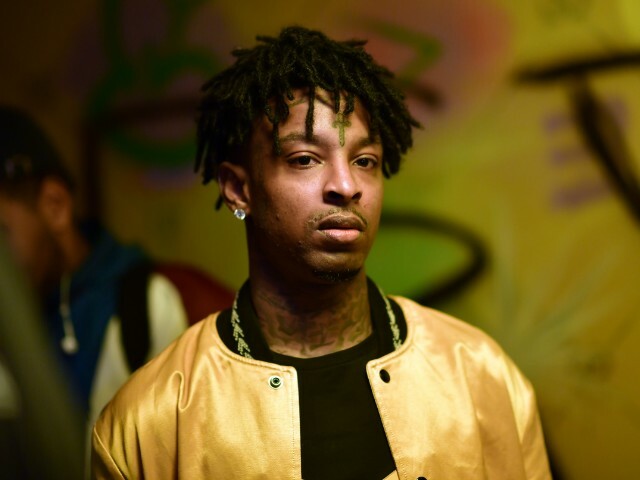 21 Savage was arrested in Atlanta this weekend and taken into custody for possible removal from the U.S. 21 Savage was picked up by ICE early Sunday morning. He apparently entered the U.S. legally in 2005 but his visa expired and he reportedly is here illegally. He reportedly is being held for removal proceedings ... this for being in the country illegally and for being a felon. He was convicted of drug charges in 2014. His attorney, Dina LaPolt, tells TMZ, "We are working diligently to get Mr. Abraham-Joseph out of detention while we work with authorities to clear up any misunderstanding. Mr. Abraham-Joseph is a role model to the young people in the country -- especially in Atlanta, Georgia and is actively working in the community leading programs to help underprivileged youths in financial literacy." An ICE spokesperson says 21 Sav -- real name Sha Yaa Bin Abraham-Joseph -- is a U.K. national who is unlawfully in the country, and has been since 2006 when his visa expired. They say he came to the States a year earlier at the age of 12. The spox goes on to say that Sav is currently in ICE custody in Georgia and that he's been placed into removal proceedings before the federal immigration courts. They add that ICE will await the outcome of his case before a judge to determine future actions. It's unclear what United Kingdom country or territory he's from exactly, but some reports say he hails from the Caribbean island of Dominica, which is an associated state of the U.K. I see a new career in acting. The memes on Twitter are funny. He was convicted of drug charges in 2014. So why did Epic records give him a record deal? The music industry is a joke. If I'm convincted of drug charges that rules a lot of jobs out for me but I guess I can always become a millionaire via the music industry. This is the oddest story I've seen in a while. A rapper that everyone thinks is from Atlanta might actually be British. It's both a highly sensitive political topic and a big celebrity story, which has resulted in a lot of interesting discourse and original memes. Rumour has it that Tekashi69 ratted him out for a lighter sentence. 21 Savage was ranting against a unnamed snitch the other day (and had previously removed J. Cole's feature verse that references Tekashi from the physical version of his album). His lawyer managed to get Tinashe free from RCA, so hopefully she can do some magic here too. In the meantime, stream his incredible new single. Obviously, this is another attempt for a career boost. People were clowning Iggy Azalea but got catfished by a British dude I live. Someone on Twitter said that's why he mumbles when he raps - so that nobody can notice the accent. I hope his collaboration with Cole goes #1 because it's super fire. Poor guy though. Is epic backlash thousands of people telling her to go back to drugs and go die in a ditch? The internet truly brings out the worst in some disgusting people . Especially since she just thought the meme was funny and is not pro deportation. It came a little bit after that, I suppose social networks are just vile these days. Jay Z is paying him a lawyer.